Thanks so much Barbara for you long time business! The operator took great care in maneuvering the hose and tank cover around shrubs and flower beds. Even took care to redistribute the mulch that was disturbed in the opening of the tank. You really could not tell he had been there. Wow thanks Edwar! Glad to hear everything went well. Thanks David! Glad to hear that Matt and our team served you well! Thanks so much Scott! Glad that we were able to provide an effective solution for you and serve you! Pleasant people to be dealing with such unpleasant product! Customer service was 200% wonderful as were services performed, and great prices! Will use again and absolutely recommend. Wow! Thanks for your feedback Julie. We are so glad that we could serve! Top notch from start to finish! Thank you! Thanks so much for your feedback Jon! Completely satisfied with the staff at Wilson Services. Thanks John! We are so glad to serve you! Wilson has always dealt with any issues I’ve had in a prompt manner and has treated me with the utmost respect. I’d recommend them to anyone. Thanks so much Kim! We are so glad we could serve you! Thanks so much for your review Val! Always great to work with. Arrived on time. Let me know exactly what had to be done and that there was a slight issue. We discussed it and the job was done efficiently. Very friendly and was able to explain all that I needed to know. Thanks Susan! Glad to know we served you well! Wow! Thanks so much for taking the time to tell us about your experience Jeremy! We strive to always provide the best service and treat others how we would want to be treated. Great to hear our team is living up to that! Thanks Jason! We really appreciate your feedback! We were not at home when the service was done but everything went as promised. Thank for the feedback Donald! On time, professional, and reasonably priced. The two workers answered all of my questions and gave me tips to help my septic moving forward. Receptionist was also very friendly and accomodating. Thanks Brenten! It’s wonderful hearing about the great work that our team does. So glad we could serve you. For the best service around, you can't come close to this Father and Son duo! 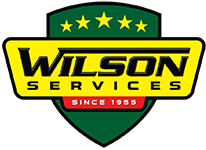 Honesty and integrity are two words that come to mind when I hear Wilson Services! Thanks so much Mark! Couldn’t ask for kinder words! 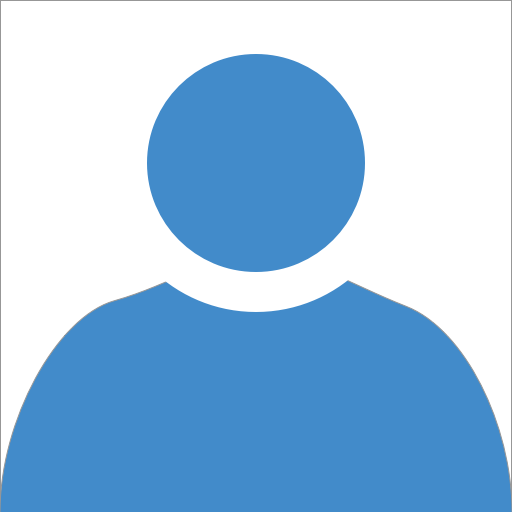 Very responsive and professional, came out same day when needed. Thanks Robert! Glad we could serve you! Thanks Erin! As a company we believe in serving others at the highest level and it’s so great to hear when one of our team does that well. Glad that we could serve you! Highly recommended by many people and for good reason. Very professional and honest with fair pricing. Thanks so much Jim for your recommendation. We are glad that we were able to serve you! Great customer service. Very easy to do business with! Thanks so much Marva! Glad we could serve you! Great service from a wonderful company. I miss Mr Wilson . Knew him when he lived in North Caldwell N J many years ago ! And continued our relationship at Culver Lake !! Thanks so much for your kind words William. We miss him very much as well. Great service- was an emergency too. Showed up quickly and service man was quick to complete. That’s great to hear Kristine, so glad that we could serve you! The technician was professional, polite, and knowledgeable, and did a great job. Thanks Gina! That’s great to hear. Glad we could serve you! Great Service! showed up when they said that they would and called ahead. I had to change change the date for them to come out multiple times and they had no problem with it. Thanks Matt – Glad we could serve you! Very responsive and knowledgeable. Both office staff and field staff excellent! Thanks alot! We are glad that we could serve you well! First time moving having to empty our septic tank after moving from Bergen county and EVERYTHING was explained to us thoroughly. Great company and staff, look no further! Thanks so much Kaity – congratulations on your new home! We had a septic issue on Christmas Eve and had a house full of family coming. We called our regular company and got no response. We found Wilson and they came asap. Thanks so much Kathleen! Glad we could save Christmas! Thanks so much for your long time business and thoughtful recommendation Sanjay! Very prompt scheduling. Technician arrived right on time and was knowledgeable and through. Would definitely reccomend Wilson Septic Service to others. Thanks so much Charles! Glad that we could serve you. We highly recommend Wilson for any septic need. Thanks Pete! We really appreciate your kind words. I had an issue with my septic and everyone was very helpful. Someone came out right away fast and reliable. Will always use from now on! Thanks! Glad we could serve you! Thanks so much for your feedback Mikal! We really value hearing from our customers and are glad that we were able to serve you. Driver was very considerate and polite. Thanks so much Thaddeus we really appreciate it! Glad that we could serve you. Called during a long holiday weekend and reached someone immediately (called many other companies also and either left a voice mail or they were unavailable) they came by within 2 hours and fixed my issue. Above and beyond, from courteous helpful office personnel to the boots on the ground driver, it was a pleasure to deal with Wilson Services. Thanks Brian! So glad that we were able to serve you! Happy Thanksgiving! Wilson is prompt, courteous, and helpful. Their cost for service is fair and appropriate. Thanks so much! We really appreciate hearing from our clients! Fast service. Did a very good job and was careful and thorough with cleaning the septic tank. Reasonable price. Thanks Richard! We really appreciate your feedback! Thanks Greg. We really appreciate your recommendation! Prompt and very knowledgeable team. Offered us good advise, they checked everything out in the tank to make sure it was in working order. Very reasonably priced. Thanks so much! Glad that we could serve you! I found you to be very thorough and efficient. Thanks so much for your kind words Alison! Thanks Joseph – We appreciate your feedback! Wilson septic set up a date to pump our septic and the truck came as they said. The driver was very professional and courteous. Everything went well. We were very satisfied with everything about Wilson. Thanks for your feedback Warren! Honest, reliable, fast, great quality and they wouldn’t fix something that wasn’t broken!! It was refreshing to deal with such honest people! Thanks Tina! We really appreciate your recommendation! Good service, reasonably priced and I appreciate the reminders every three years. Thanks so much for your feedback Doreen! Thanks for your review Gordon! Everything went great thank you. The service man was terrific thank you. Timely, thorough and took the time to explain the condition of the tank. Great follow up after as well. Reasonably priced! Great response to my issue and were quick to fix things for me. Thanks for the feedback Eric! Thanks Angel! We appreciate your kind words. Wilson Septic scheduling and service was professional. Thank you so much for your kind words. We really appreciate your feedback! No issues. Thank you for your services. Professional, on time and great customer service. Thanks Trisha! We appreciate your feedback! Thanks so much Alejandro! We really appreciate your feedback and are glad that our team served you well! Great customer service and prompt, quality work. Thanks George! We really appreciate your feedback! Excellent service, fast and easy. Communication was excellent! Arrived on time. Pumping done in neat and organized manner. Very personable employee. Gave instructs on followup care of septic. I have used Wilson service for many years for this reason. No complaints ever. Thanks so much Eleanor! Glad that we have been able to serve you well for many years! Eric and Debbie Wilson were a pleasure to do business with. Thanks Robert! It was great working for you and your wife. Thanks Kathleen! Glad that we were able to serve you! The best. They have been our go to for septic needs for over 40 years. My parents used them and now I do. Thanks so much La. We appreciate your kind words! Thanks Joseph! Glad that we were able to serve you! Professional company offering great service and great product all with a smile. Very happy with their work. Thank you Wilson Septic Service! Thanks for your kind words and feedback Tammie. It was our pleasure to serve you! We had a good experience with professional and friendly service. Thanks so much Julie! Glad we could serve you! Very friendly. Fast response. Very Helpful. Thanks so much for your feedback Virginia! Glad we were able to serve you! Thanks Carl! Glad that we could serve you! Thanks so much Don! Glad that we were able to serve you well! I have been using Wilson Septic Service for several years now. excellent services prices for the care and maintenance of your septic system. I highly recommend Wilson Septic. Thanks For your recommendation Joe! Friendly, experienced staff. Prompt service. Thanks for your feedback David! Our team really is the best! Thanks for your recommendation Robert! excellent, timely and honest what else do you need. Thanks Todd! Your feedback means a lot to us! Technicians have always been courteous, friendly and have checked out the system after pumping with no problems. We appreciate the reminders that service is recommended and will certainly be using them in the future. Thanks for your feedback Robert! Glad to hear that our whole team served you well! .... You guys did a great job! Excellent service through out the company!! Thanks Brian! So glad that we served you well! Thanks for your feedback Don! Glad we could serve you well! Thanks John. Glad we could serve you. Thanks Charley! Drove by your place the other day and it’s looking great! Scheduled an appt, they came when they said, did a fine job and at a competitive price. They delivered. Thanks for your review Joseph! sure that all is flowing properly. Thank you for all you do! Thank you Mary Ann! We appreciate your business and are happy to serve you! Very easy to arrange and get this done thanks to the professionalism of all involved. Thanks for your review and feedback Nina! Delivered as promised. Nice family run business that follows thru. Thanks for your kind words Len! Very professional! Arrived on time. Employee was very polite and knowledgeable! Left everything as was. Great cleanup! Will definitely use them again!!! Thanks so much for taking the time to write us a review Darlene. We really appreciate your business. Did a fine job, were responsive to my calls and e-mail messages, Kept me well informed and also coordinated with the septic inspector. Would recommend. Thanks Juan, glad we could serve you well! I just hired them to empty the septic and they were very nice and helpful. Ours is a unique situation and John is our go-to guy. Always friendly, polite, and conscientious, this year he fit us into a tight schedule right before his vacation. Thanks for your business and your kind words! I am new to having a septic system. They really took the time to educate me about maintenance and good practices. They were also up-front with suggesting a pump out frrquency. (and didn't try to take advantage). Came out on Mother's Day for an emergency service call and went out of his way to find the problem for us. Glad that we could help Mary. Hope you enjoyed the rest of your Mother’s Day! Very quick and easy clean out. Hardly knew they were there. Thanks Lou! We appreciate your business! Great service, friendly people, filed the appropriate paperwork with the township – a pleasure doing business with! Thanks for your business Jeffrey! Knowledgeable and friendly technicians. They identified the problem and resolved it the same day without hesitation. Will definitely use them going forward. Thanks Carlos! We really appreciate your business. We have been using Wilson for over 40 years. Never had any problems. Always there when we needed them. Thanks for your long time business and your loyalty Deanna!